Fair Mortgages can provide you with a first class service if you are looking for a mortgage - If you are ccurrently have a mortgage on a tracker deal coming to an end and you are looking to remortgage or you wish to buy a new property on a tracker contact us to help you get the best deal possible. 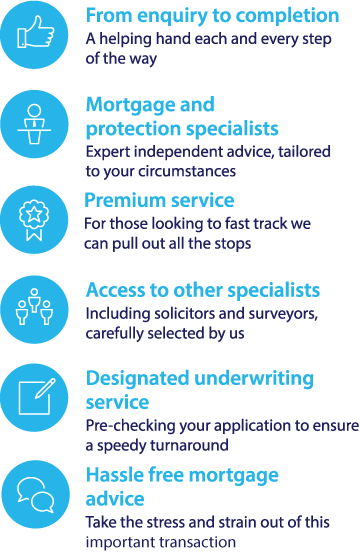 To investigate your tracker mortgage options call our specialist team on 0117 313 7780 or fill in our call back form. A tracker mortgage is a type of variable rate mortgage. What makes this type of mortgage different from other kinds of variable rate mortgages is that, rather than following an interest rate determined by the mortgage lender, the rate of interest you pay tracks a set rate, usually the Bank of England base rate, at a fixed percentage above or below it. For example, you may have a tracker mortgage that offers a fixed rate of 2% above the base rate, and the amount you pay monthly for your mortgage will depend on whether the levels of interest rise fall or remain static. Tracker mortgage deals can last for as little as one year, or as long as the total life of the loan – in this latter case, they are known as lifetime tracker mortgages. Once your tracker deal comes to an end, your mortgage will usually be transferred to your lender's standard variable rate (SVR). This will usually mean paying a higher rate of interest each month, so you may want to consider moving to a new mortgage deal or consider remortgaging with a different lender at this point. When interest rates are low – as they are at the time of writing, with a base rate of 0.5% - a tracker mortgage deal can have the potential to offer a very low rate of interest. For example, if you were to take out a tracker mortgage at +1% above the base rate, you would pay 1.5% interest. If interest rates remain low, your monthly mortgage repayments could have the potential to be cheaper if you have a tracker mortgage than if you have a variable or fixed rate mortgage. When you want the option of flexible overpayments - Many mortgage lenders will allow borrowers to make penalty-free overpayments on their tracker mortgage. While your tracker mortgage rate is low, you can take the opportunity overpay on your mortgage, shortening the total length of time it take you to pay off your mortgage, and cutting the amount of interest you pay. When you don’t want to be subject to changes in your lender’s SVR – With a tracker mortgage, your rate is not dependent on your lender’s SVR, and is determined solely by the base rate. Rate security – A base rate tracker mortgage may not be subject to the whim of your individual mortgage lender, but it is still subject to the whim of the Bank of England. Remember that a base rate tracker mortgage is still, in essence, a variable rate mortgage. If the base rate suddenly skyrockets, so will the interest rate you pay. Budgeting – If you are on a fixed income or are trying to stick to a budget, you may prefer to know exactly how much your monthly mortgage payments will be. If this is the case, a fixed rate mortgage deal might be a better option than. Early repayment fees – Leaving a tracker mortgage before the end of the set term may leave you liable to early repayment penalty fees.